A powerful 8kW multi-fuel stove from Lilyking with a wide range of features, cast iron quality, perfect for homes needing a reliable & efficient stove. 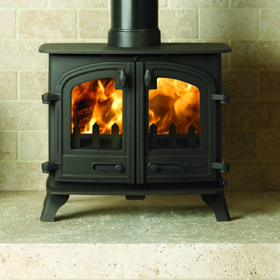 The Lilyking 659 is an ideal stove for the medium to large sized room. A very efficient stove with a superb heat output of up to 8kW. This stove can fit perfectly within most classical and traditionally styled homes. 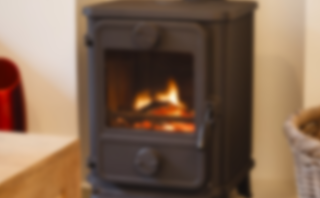 Great manufactured quality, and made to last, this excellent multi-fuel stove can heat your home cleanly, efficiently and reliably through-out the year. 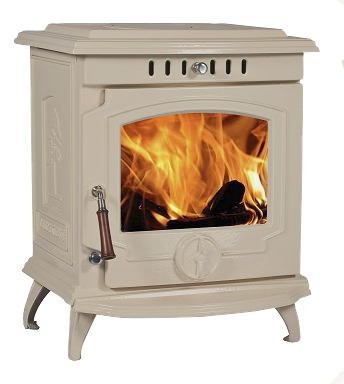 This well designed, durable cast iron stove can burn coal or wood and even peat if required. It has a built in riddling grate to allow the ash to fall through into the ashpan, which can be removed with the supplied tool. With an undergrate air control you can ensure coal to burn evenly and get the best out of your fuel. 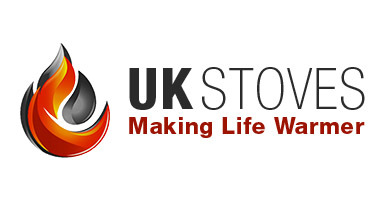 A 3 year guarantee is supplied with all Lilyking stoves as standard for piece of mind when choosing which stove best fits your requirements.